Woman of the Month: A Dash of Lalanya! She's an author who is inspiring young Black girls to love themselves. Our July Woman of the Month is Lalanya Abner, an author and advocate for youth empowerment. Because of her love for our youth, she created Imagine Beyond Boundaries, an organization with the mission to create books and characters that young children of color can relate to. Lalayna has always had a passion for the arts and wants to share her creativity with the world. Read on to learn more about Lalayna and the impact that she is making on the lives of many children! ADOM: Tell me a little bit about the woman behind Imagine Beyond Boundaries. Lalanya Abner: I was born in Pasadena, California and was there the first five years of my life. I've always had an interest in the arts. I did really well in L.A. as an actress, but I had more substance than what pursuing an acting career could provide at the time. So, I went to Vegas to study arts and feel in love all over again with my imagination and started creating along those lines. Kind of wandering and floating because when you feel like most of your life, you are clear about what you want to do and then it shifts, you're like, wait a minute. So, I had been waiting for that hit again, you know? Would it take me back to acting? Would it take me into politics? Where would it take me? I had a studio for actors here in Atlanta; did well, but it was really stressful, so I closed it. A lot of the students are now in L.A. and are doing really well, so I'm happy about that. So, one day I was visiting a friend and her little girl came in as Elsa. I'm grateful for the vision at that moment that showed me I can do something about that. That started Imagine Beyond Boundaries. I think that will be the thing that I am known for when I die. I love to create. I love to work with awesome people. I love to learn. I love to grow and I love the things that I can be a part of with some type of significant social change. LA: In the future, I hope to see myself in Target, Walmart and Party City. I hope to turn on the television and there is the Young Indigos cartoon, movie and soundtrack. I want to see little girls who are wearing Imani's tutus; little boys who want to build or become the mayor or even code. My imagination tells me that this can be a social impactful project; imagination and futures filled with much hope and light for children of color; under-served minority children who are really underrepresented in children's content. I hope I am on covers of magazines. I hope to be interviewed by Fortune, Vogue, People, Oprah... I hope that it has a massive impact. I hope for camps and homes for little girls and boys; theme parties, awards and recognition for the paradigm shift that it was able to create and the careers it was able to launch. So, I hope that the impact is tremendous. ADOM: Who are what keeps you encouraged while working towards your goals? LA: Little girls. They do something to me. My niece, my goddaughters. Woman who encourage me and support me. I have an incredible friend in Atlanta; her name is Kelly King. I have never seen anyone who wants me to win like that. To me, being a little girl, whether you are white or black, is so precious. It's so special. There was a little white girl at my event who didn't even see color; she just saw characters and wanted to take a picture. She was the most precious thing. So, that's what does it. ADOM: I know you kind of touched on this earlier, but how has your platform contributed to empowering women or in this case, little girls? LA: They will know that they are beautiful as they are. They can look at my characters and see themselves, like really see themselves and not have to work too hard. If they don't necessarily see themselves, they'll see a friend or a classmate. One of my lead illustrators is a woman; my photographer is a woman. The opportunities for women in my company are huge. I would like to host smaller events that will be hosted by women. My designer for my tutus and swag bags is a woman. ADOM: What is some advice that you would give to a young creative who aspires to follow a similar path as you? LA: Do your due diligence. Set a bar of excellence and know that your greatest competition is yourself. Find someone who's done it, and read and study them and learn from them. But chart your own path. Know that it is hard, but worth it. Know that the benefits outweigh stress. Know that making mistakes, having setbacks, failing, miscalculating or misjudging are all part of the journey. Don't let it get you down. Be strong emotionally. My biggest piece of advice is critical thinking and learn to out-think them. That's probably my superpower; I can out-think most people. So that you won't see a setback as anything more than education or how to refine and strengthen an area that you probably needed it. Failure, setbacks and mistakes are really a beautiful process of evolution. So, before you get started, spend some time reading about it, taking courses in it and strengthening your critical thinking because if you can out-think everybody, you'll always be the winner in the room. After you out-think them, out-create them. To keep up with Lalayna, you can find her on Instagram and Facebook. Be sure to check out her website, www.theyoungindigos.com. 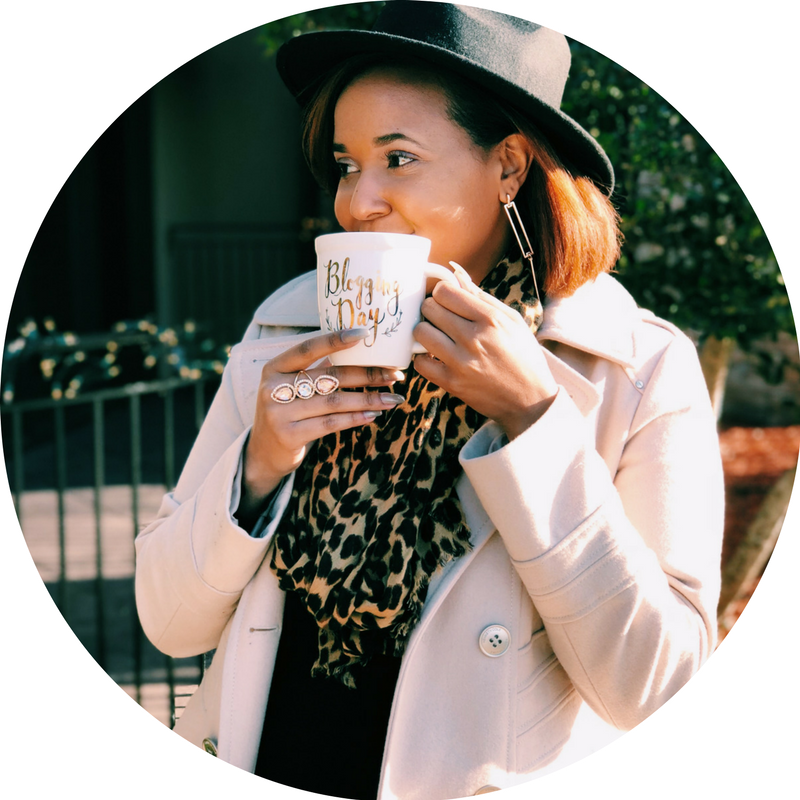 Woman of the Month: A Dash of Dayna!